Check out the newest releases from Diamond Select Toys. These collectibles are now available from comic and specialty shops. They include new Watchmen Minimates, Predator Minimates, a Back to the Future II Time Machine and more. Check out the details below and read on for the photos. The newest, and last assortment, of Diamond Select Toys action figures based on the first Ghostbusters film are in stores now! Ghostbusters Select Series 5 brings fans three all-new figures and the final pieces to form the awesome rooftop diorama. Included in this wave are the Taxi Drive Zombie, the Library Ghost and the Terror Dog (aka the Demon Dog). 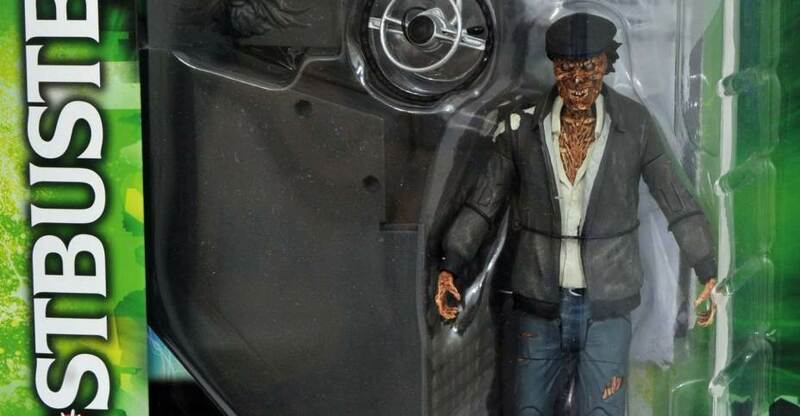 These 7″ scale figures were released this week to comic and specialty shops. Fans who have collected the previous twelve figures can complete the Ghostbusters Rooftop Diorama, giving them a huge display area for their figures. Diamond Select Toys sent along the figures for us to check out. We have 80 high resolution photos showcasing not only the series 5 figures, but the completed rooftop dio. Read on to check them out. Originally scheduled for release in March, the Ghostbusters Select Series 5 figures will now be released next week on June 14th. Diamond Select Toys has released photos of the figures in packaging. These are the final three figures from the first Ghostbusters assortment, which will give fans the final pieces for the rooftop diorama! They are priced at $24.99 each. Toys “R” Us will offer versions at a lower cost, but without the rooftop pieces. A Diamond Select Toys Release! Anybody seen any ghosts? The hit toy line based on the horror-comedy classic movie Ghostbusters is back with a fifth series of action figures, and this series is spectrally delicious! 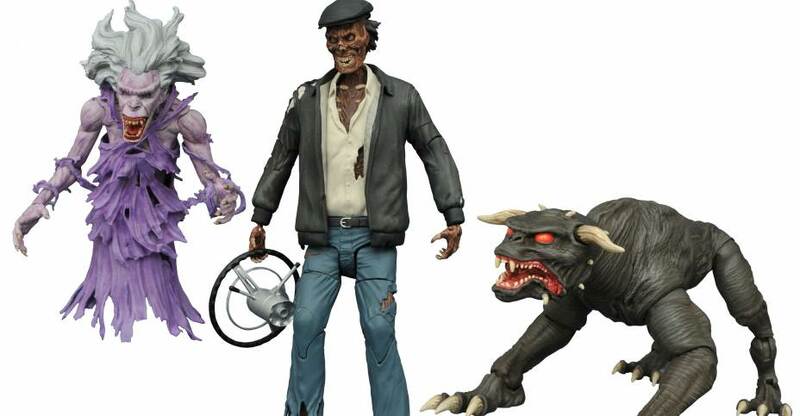 Series 5 unleashes three spirits from the original 1984 movie: the Library Ghost, the Taxi Driver Zombie and a Terror Dog! 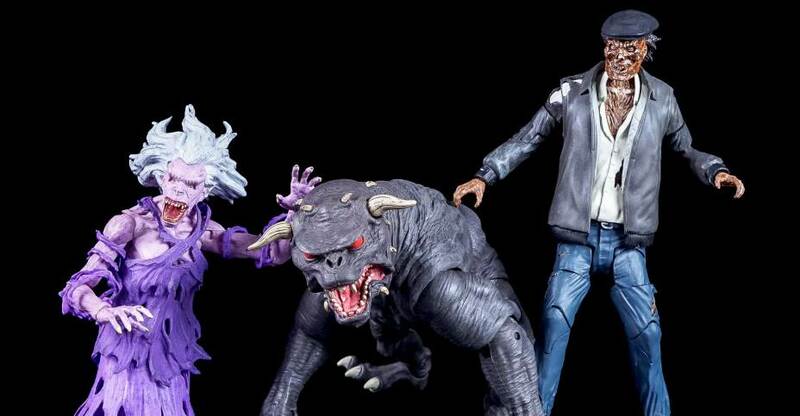 Each 7-inch scale figure features up to 16 points of articulation, as well as character-specific accessories: the Library Ghost comes with a stack of books, the Taxi Driver comes with a steering wheel and the Terror Dog comes with interchangeable horns so it can be either Zuul or Vinz Clortho! Plus, each figure comes with a piece of the rooftop diorama – these are the last three figures you need to complete the whole shebang! Packaged in the trademark Select display packaging, with side panel artwork for shelf reference. Sculpted by Gentle Giant Studios! 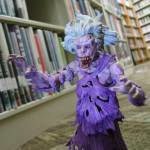 Diamnod Select Toys has shared out new images of Ghostbusters Select Series 5 in-hand, gallivanting around New York City posing up a storm. The wave includes the Library Ghost, Taxi Driver Zombie and Terror Dog. The comic shop versions will also come with diorama pieces to complete the rooftop set. They’re due out next month in local comic shops, read on to check the pics!